Naturally enough, no official confirmation of the existence or operations of such a unit has ever been forthcoming. The most reliable report in the media so far that such a MI6-UKSF cadre exists was in a January 2012 BBC report on MI6/UKSF operations in Libya that makes mention of an 'E Squadron', noting that the unit was "formed five years ago to work closely with the intelligence service, MI6, and is mainly involved in missions where maximum discretion is required". The BBC report goes on to say that E Squadron is "the modern-day successor to the shadowy cell sometimes referred to as the Increment." It is believed that the Increment ranks feature SAS and SBS operatives who have been specially trained and selected to work with MI6. It has been reported that every SIS station chief has a direct line to the SAS Duke of York's Barracks in London and that close ties exist between the two units. The Secretive unit is also manned by operatives from the Joint Support Group, the SRR and the Intelligence Corps. It is thought that the SAS Anti-Terrorist team often provide the men for Increment operations. Men from M Squadron, the SBS Maritime Counter Terrorism (MCT) unit also provide manpower. When working for SIS, the SBS is rumoured to have used its skill at operating underwater to place trackers on vessels docked in foreign ports. It's also believed they use SDVs to ferry SIS agents to and from foreign shores. When air support is required, 7 and 47 Squadron RAF (or other elements of the JSFAW) can be called on. Such support might include covert infill/exfil of SIS agents or assets from foreign countries, as well as directly supporting Increment operations. Those seconded for the Increment are usually the more experienced ranks and all are vetted by SIS. Their backgrounds, friends and families are all thoroughly examined for potential security risks. Increment operatives receive specialised training. Some sources state that the Increment work alongside another shadowing group known as UKN, a highly specialised surveillance unit, also run by SIS. UKN appear to specialise in surveillance in foreign countries and it has been speculated that they act as the increment's eyes and ears, identifying and tracking targets for operations. Mass murderer Stephen Irwin has been freed from prison for the second time just weeks before the 20th anniversary of the Greysteel massacre. The 40-year-old Irwin was released under the terms of the Good Friday Agreement but he was imprisoned again in 2005 for slashing a football fan at an Irish Cup final. He was told then that he would have to serve out his full sentence for the eight Rising Sun Bar deaths. East Derry MLA John Dallatdescribed the move as “unbelievably insensitive” coming so soon before the anniversary of the Greysteel massacre. He said: “This will only fuel the widely-held belief that Irwin and his fellow killer Torrens Knight were and most likely still are on the payroll ofMI5 and that that affords them the kid glove treatment. “I have it on excellent authority from a well placed source that both Irwin and Knight were agents and met their MI5 handlers at Ebrington and Shackleton Barracks when they were in operation. “People are not stupid and they know there are many unanswered questions about the Greysteel slaughter and the killing of four men in Castlerock earlier the same year that Torrens Knight also committed using the same weapon. “Those questions will only be answered if an independent inquiry is held and access is given to files on Irwin and Knight. Confirming the release, a spokesman for the Northern Ireland Office said: “The SRC is an independent body and it is for them, not the Secretary of State, to determine eligible prisoners' suitability for release. The Sentence Review Commissioners were contacted but declined to comment. On October 30, 1993, Stephen Irwin led Torrens Knight, Geoffrey Deeney and Brian McNeill, all fellow UFF members, into the Rising Sun Bar in Greysteel. Eight people — six Catholics and two Protestants were shot dead. 19 others were injured. The victims were: John Burns, Moira Duddy, Joe McDermott, Victor Montgomery, James Moore, John Moyne, Stephen Mullan and Karen Thompson. Irwin pleaded guilty to the killings and was given eight life sentences but was later released under the Good Friday Agreement. In 2005 he was jailed for four years for knifing a football fan. THE Scotland Yard inquiry into claims that the SAS murdered Princess Diana took a new twist last night when an author offered to hand over his secret dossier to detectives. Alan Power claims Diana, who died in a Paris car crash 16 years ago yesterday, was killed by MI6 with military help. However, we understand detectives have given him a crime number, RCAD3177, and that officers will be contacting him in the coming weeks. Police launched their investigation after being told that another former SAS soldier, unknown to Mr Power, informed his estranged in-laws that the regiment was behind the crash that killed the 36-year-old Princess, her boyfriend Dodi Fayed, 42, and chauffeur Henri Paul. As flowers were laid at the Alma ­tunnel in Paris and outside Kensington Palace in London yesterday in memory of the Princess, Mr Power insisted he was not trying to cash in on the tragedy, saying he was seeking “justice for ­Diana”. In his preface for the book, he states: “Diana was murdered by MI6 with military aid’’ but does not produce overwhelming ­evidence to support his theory or name the assassins. Former MI6 agent Tomlinson told the inquest into Diana and Dodi’s deaths that he was aware of a colleague’s proposal to kill Serbian leader Slobodan Milosevic by using a strobe light in a tunnel to distract his driver, causing a crash. At the inquest Sir Richard Dearlove, former head of the Secret Intelligence Service, denied MI6 was involved in Diana’s death, claiming that Tomlinson’s evidence about the strobe light was “spurious” and that he had elaborated bits of information he had heard to make mischief for the service. He denied that security service staff were trained to use strobe lights for disorientation. Lawyer Michael Mansfield, QC, said the Milosevic assassination suggestion entailed the use of “the Increment, a small cell of SAS and SBS specially selected and trained to carry out operations for MI5 and MI6”. In a separate development a man who worked with Diana on her landmines campaign has come forward to claim she was killed because she was upsetting ­shadowy figures in the arms industry. Retired soldier Rory Allen said her condemnation of a host of lethal armaments had upset certain “figures”. Shortly before she died, Diana visited Bosnia to highlight the death and injury caused by landmines there. South Africa-based military consultant Mr Allen claims she was also planning to expand her campaign to the Middle East by joining him in a mine clearance exercise. She had offered to support his Operation Khamsin project to clear mines at El Alamein in Egypt’s western desert. “She was going to make a big speech in Egypt and speak in other countries,” he claimed. A letter from The Office of Diana, Princess of Wales to Mr Allen, signed by Mrs Colin MacMillan, says: “The Princess was touched that you took the trouble to write following the documentary film of her visit to Angola and was interested to read of your various projects. Mr Allen, who is recovering in England after an illness, said: “Through my contacts in the mine clearance ­industry I was reliably informed that the humanitarian efforts of Diana had incurred the ­disapproval of certain figures because of her declared condemnation of the use of cluster-bombs, depleted ­uranium shells and phosphorus munitions, all of which greatly boost the lethality of the regions over which ­hostilities have been waged. At the inquest into her and Dodi’s deaths, coroner Mr Justice Scott Baker told jurors Diana’s friend Simone Simmons said the Princess was preparing a report that she was going to call “Profiting Out Of Misery”. It was said she was going to name names and show that the British Government and public figures were profiting from the proliferation of landmines. Top of the list of “culprits” was allegedly going to be the SIS. In 2008 the jury returned verdicts that the Princess and Dodi had been unlawfully killed and blamed the driving of chauffeur Henri Paul, who had been drinking, and the driving of “following vehicles”. Witness Francois Levistre said a white flash of light was directed at the couple’s Mercedes, causing the crash. Mr Levistre said he stopped near the tunnel exit and claimed he saw a motorcycle passenger get off, approach the car, look inside and make a hand gesture to the bike’s driver before they sped away. Those two and drivers of other vehicles have never been traced. The Scotland Yard spokesman yesterday added: “The deaths of Diana and Dodi were thoroughly investigated by Operation Paget. 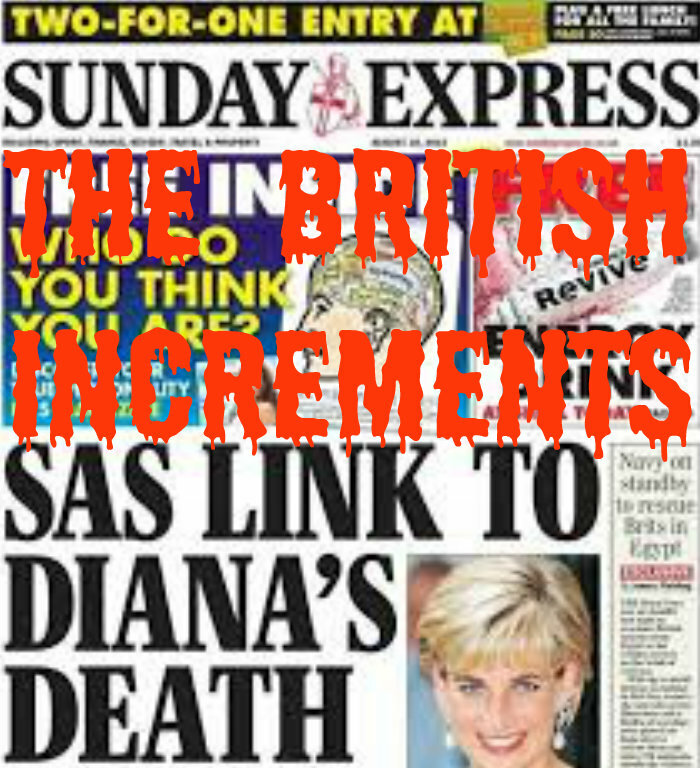 VITAL evidence from the wreckage of the crash in which Princess Diana died was ignored by investigators, the Daily Express can reveal today. French authorities failed to hand over a key part of the Mercedes from the Paris tragedy. And an official report was omitted from inquiries into the 1997 crash – with clues highlighted by a top British investigator withheld from the inquest into Diana’s death. World renowned accident examiner David Price meticulously deconstructed the luxury car. But he told last night how he was “surprised” never to have been called to give evidence at the hearing. The shambolic handling of the initial investigation into the accident even saw parts of the car destroyed while in the possession of the French authorities. But the most explosive revelation to emerge from his report was that a foot-long section of brake pipe – leading to the front right brake – was never handed over to British investigators, making it impossible to disprove tampering. The revelations come after claims Diana was killed by an elite team of SAS and MI6 agents on motorbikes acting on orders from Buckingham Palace. Institute of Traffic Accident Investigators expert Mr Price conducted a forensic examination and his report was used by the authors of Operation Paget, the police probe into the fatal crash. But the blunders cast fresh doubt on the credibility of official inquiries after Diana died alongside her Muslim lover Dodi Fayed and driver Henri Paul. The vehicle’s brake fluid was found to contain a level of water that could have interfered with braking efficiency, but it was brushed off as post-crash contamination. Its front right tyre contained “a considerable quantity of water”, which was never measured or analysed to determine its origin, potentially affecting the handling of the vehicle. Reports that the car had been handling poorly before the crash were never recorded as part of Operation Paget, the inquiry led by Lord Stevens which investigated conspiracy theories surrounding the accident. Mr Price, 55, who worked for the Forensic Science Service for 31 years, told the Daily Express from France last night: “It was a surprise I was not called to deal with some of these issues. “The inquest spent a lot of time with witnesses who saw things and heard things but it didn’t ask questions about the car itself. Issues were being raised such as brake tampering so I was surprised not to have been called. In his report he wrote: “I am not able to exclude the possibility of brake pipes having been cut prior to the incident, although I consider it highly unlikely that they had been, as it should have been readily obvious to the French investigators when they removed the ABS modulator. Chauffeur Olivier Lafaye drove the car hours before the crash and reported the back end “slewing out” at speed. His comments were not recorded in Paget and he was not called at the inquest. The report, obtained under Freedom of Information laws, showed the car’s Electronic Control Unit, responsible for the brakes, had a “fault” code stored. He added: “Only they are likely to have knowledge of the precise operating parameters.” But Paget ignored this lead, simply stating: “David Price concluded that no additional testing was possible. Paget concluded both the French and British examinations of the Mercedes showed there were “no mechanical issues with the car that could have in any way caused or contributed to the crash”. Paint taken from the tunnel and the car and its front right door were lost in an “unexplained fire” in 1999. Its front wing was also destroyed on the orders of a French judge in 2003. THE SAS has launched an ­internal inquiry into how the elite regiment became embroiled in allegations that it killed ­Princess Diana and Dodi Fayed. Chiefs want to know when the sensational claim surfaced and who in the regiment knew of it. Senior officers have also been ordered to find out what action was taken against the soldier who allegedly made the boast. General Sir Peter Wall, head of the British Army, is said to be furious the SAS’s reputation has been tarnished. Sources close to General Wall said the controversy was “the most embarrassing and potentially damaging event in the regiment’s 70-year history”. One officer called it a “fiasco” for a ­regiment “supposed to operate in the shadows”. The startling allegations over Diana and Dodi’s deaths surfaced at last month’s court ­martial of Sergeant Danny Nightingale, the SAS sniper convicted of illegally stashing a pistol and ammunition in his bedroom in Hereford. The claims were contained in a letter from the mother-in-law of Sgt Nightingale’s former housemate – a fellow sniper referred to as Soldier N – which was sent to SAS headquarters in September 2011. It is understood the letter was passed to military ­prosecutors prior to the Nightingale trial’s start but has only just been brought to the attention of Scotland Yard. Detectives are currently analysing what they describe as “new information” but have not launched a fresh inquiry into Diana and Dodi’s fatal car crash in Paris on August 31 1997. Dodi’s family are thought to want a full police investigation. The seven-page letter by ­Soldier N’s mother-in-law was written when her daughter’s marriage to him was falling apart after a police raid following a confrontation between the estranged couple. It is understood the letter was passed by the SAS to the Service Prosecuting Authority before the Nightingale trial began. The authority removed all references to the SAS before releasing the documents to the court. The letter says that Soldier N, a ­sergeant, told his wife the SAS had “arranged” ­Princess Diana’s death and it was ­“covered up”. One senior source said last night: “This whole mess was all entirely preventable. All the warning signs were there but were ignored. Instead of dealing with Soldier N’s family issues he was sent to Afghanistan for six months. Soldier N, chief prosecution witness in the case against Nightingale, was jailed for two years after admitting unlawful possession of weapons.